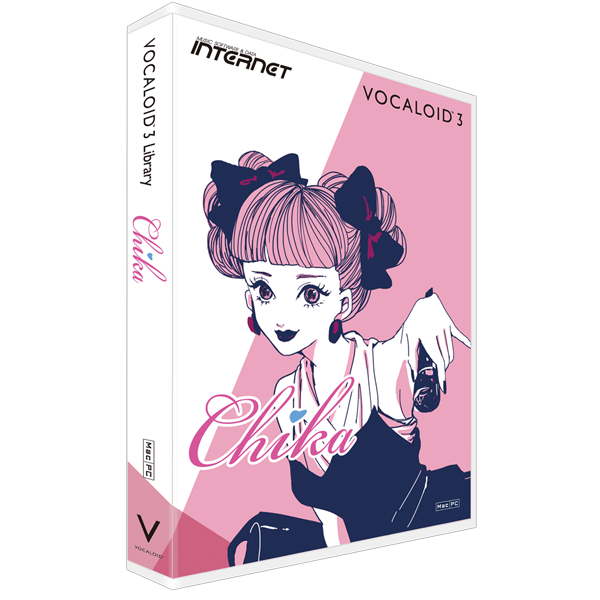 VOCALOID3 Chika is the virtual vocal voicebank based on the voice of "Chiaki Ito", a member of Japanese major artist "AAA". The twice size of phonetic database than the previous products bring about the higher quality voice synthesis. The voicebank has a good range from bass to high and turns out to be powerful and pretty. She made her debut as a member of 7 gender mix super performance group "AAA" in 2005. The "AAA" original album "Eighth Wonder" released on 2013 won the first prize on the Oricon weekly chart. "Japan Record's Biggest Award", and it also appeared in "NHK's Kouhaku Uta Gassen".